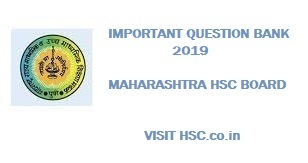 We have created a list of Most Important Question Bank which will help students in scoring good marks in HSC Board Exams. HSC Board Exams are fast approaching and students are getting anxious about how to prepare for their HSC Board Exams. So we had mentioned some HSC Study Tips to help students in Cracking HSC Exams. Ant diuretic hormone (ADH) is a protein produced by cells in the hypothalamus. The AVP gene codes for the production of ADH. Outline the steps to show how a mutation in the AVP gene could result in changes in the ADH protein. With the breakdown of proteins, animals produce ammonia, a nitrogenous waste product that must be removed. Direct removal of ammonia requires the excretion of large amounts of water. Explain how both terrestrial mammals and insects conserve water while excreting nitrogenous wastes. Explain how both genotype and phenotype influence the inheritance of genes and natural selection in this population. Explain the relationship between advances in scientific knowledge of cell chemistry and modern uses of biotechnology. Construct a flow chart to show how an animal with a diploid number of 32 chromosomes can be cloned and how the clone can be verified. Include reference to chromosome number in each step. Explain, using TWO examples, the evolutionary significance of polymorphism. Explain the structure and behavior of chromosomes in the first division of meiosis. Include detailed reference to the model. Construct a flow chart to summarise the main steps and products of the light-independent reactions of photosynthesis. Describe how the lens of the eye changes its shape in order to focus on near and far objects. Explain how polymorphisms have enabled humans to survive in their environment. Use examples in your answer. Analyse the impact of the Human Genome Project on the development of technologies which benefit society. Describe an experiment that could be used to test van Helmont’s observation that soil is not primarily responsible for a plant’s change in mass. What is the difference between polymorphism and clinal gradation? A student conducted an experiment to model the process of accommodation. Describe the experiment and how the first-hand data collected could contribute to an understanding of how accommodation works in human vision. Assess how our understanding of the path of a sound wave through the ear has led to the development of technologies that assist hearing. Contrast the distribution and function of cone cells and rod cells in the human eye. Biological theories are always provisional in nature and change in the light of new evidence. Give reasons. Analyse the impact of the development of the electron microscope on the understanding of chloroplast structure and function. Explain how the human larynx produces sounds of different pitch. Analyse the impact of modern technologies in the fields of modern medicine and genetic engineering on human evolution. Explain an advantage and a disadvantage of EITHER the product OR process of a specific animal biotechnology. Models of human evolution continue to change as a result of work done by individual scientists and advances in technology. Give reasons. Construct a dichotomous key to classify primates into four groups: prosimians, new world monkeys, old world monkeys, apes. Explain how the energy liberated in the light-dependent reaction is stored and used in cells. Explain the role of isolation in the process of evolution. Explain ONE benefit and ONE limitation of suppressing the immune system in organ transplant patients. ‘Genes influence proteins and proteins influence genes.’ Evaluate this statement with reference to the structure and function of genes and proteins. ‘Over the past 400 years, the development of our knowledge of the chemical transformations occurring both inside and outside plants has led to our current understanding of photosynthesis.’ Evaluate this statement with reference to the experiments of TWO named scientists. Explain how TWO different methods used to treat drinking water reduce the risk of infection. Explain how selective breeding has resulted in a series of changes in an agricultural species. A student conducted an experiment to investigate the rate of enzyme activity. Relate the understanding gained from performing this experiment to an application of biotechnology. Compare mechanisms in the human body for detection and perception of a range of frequencies in visual and auditory communication. Are this quetions from board?